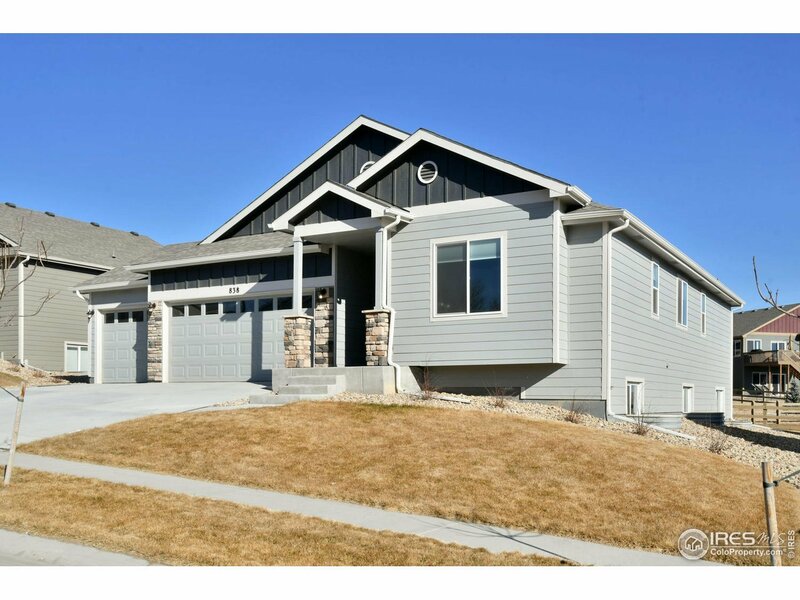 Open main floor is spacious and comes with vaulted ceilings, engineered hard wood, 42" kitchen cabinets, kitchen island, quartz countertops, SS appliances, master suite with 5 piece bath, 2 more bedrooms, laundry with cabinets, 3 car garage. Entering downstairs past the beautiful wood and wrought iron banister, you will be in awe over the great room, 2 extra bedrooms and 1 more full bath. Natural light pours throughout! Enjoy the sunrise from the back deck, or the sunset from the front yard.